Wallops Island is a 6 square mile island off the Eastern Shore of Virginia, part of the barrier islands that stretch along the eastern seaboard of the United States of America. It is located in Accomack County, Virginia. A NASA rocket bound for the International Space Station exploded during lift-off. 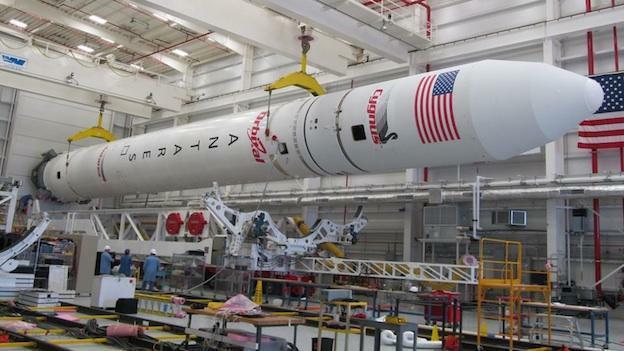 NASA officials say the rocket suffered a catastrophic anomaly shortly after liftoff. Now officials are trying to figure out what went wrong. Officials say there were no reported issues with the rocket before it exploded in the sky over Virginia. The supply ship rocket bound for the ISS lifted off but just six seconds after leaving the launch pad, it exploded over Wallops Island, sending fiery debris crashing back to earth. 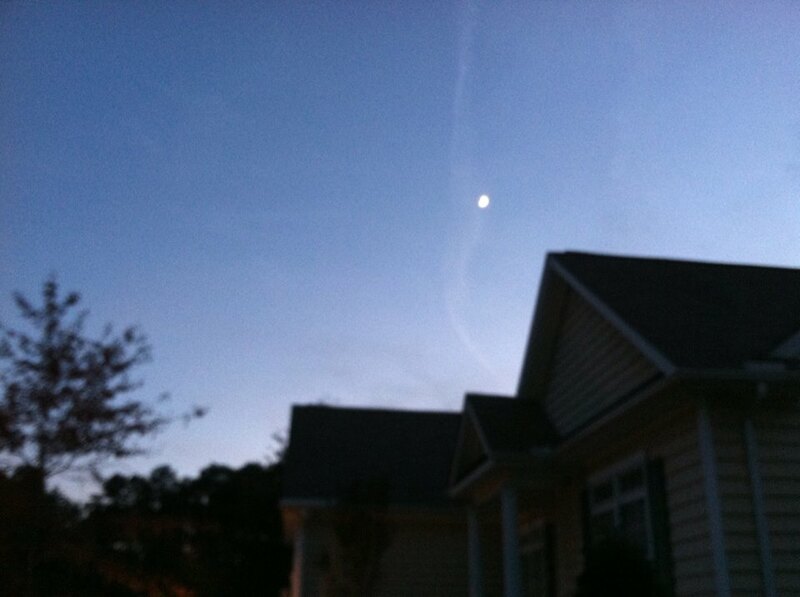 Mary and I patiently waited for the Wallops launch at 6:22pm looking south in a clear sky. We could hear and feel the initial launch from our home in Ocean Pines, then a few seconds later a loud explosion followed, greater volume than the initial launch and with a vibration we could feel standing in the driveway. I continued to look to the southern sky when Mary came back out to alert me the news was reporting an explosion of the vehicle just six seconds after launch. Thankfully no one was injured at the facility. Garmin announced a new Automatic Dependent Surveillance-Broadcast (ADS-B) solution Oct. 28 that meets FAA requirements for ADS-B Out while delivering traffic and subscription-free weather to mobile devices. Starting at $3,995 for a system with a built-in WAAS GPS receiver, the GDL 84 does not require owners to significantly modify the panel of their aircraft or to have a multifunction display. When paired with the Flight Stream Bluetooth wireless gateway, it enables traffic and weather information to be displayed within the Garmin Pilot app on a mobile device. The FAA has mandated that aircraft must be equipped with ADS-B Out by 2020 in order to operate in airspace where a Mode C transponder is currently required. The GDL 84 complies with the rule for aircraft operating below 18,000 feet in the United States and receives on the frequencies designated for both low- and high-altitude aircraft to deliver the benefits of ADS-B In. Garmin touted the unit as a cost-effective and minimally invasive solution, as the only panel modification required is an annunciator indicating ADS-B status. A patented self-interrogation feature allows it to synchronize squawk codes with a wide range of general aviation transponders, Garmin said, eliminating the need to install an additional control panel and keep two squawk codes in sync. Traffic and weather information are transmitted wirelessly via Flight Stream 110 or 210 to a mobile device, where Garmin’s TargetTrend relative motion technology gives a picture of aircraft trajectories to help pilots better predict potential conflicts. ADS-B surface targets are displayed on Garmin SafeTaxi airport diagrams. For an additional $450, Flight Stream 210 adds back-up attitude information. Customers may also upgrade the GDL 84 to display traffic and weather on some Garmin avionics, including the GTN 650/750/GNS 430W/530W, G500/G600, and more, for $1,995. Garmin expects the GDL 84 to receive the FAA’s Approved Model List supplemental type certification in the first quarter of 2015. I read my IFR Refresher publication from cover to cover this morning. There are multiple articles on the ‘visual approach’. 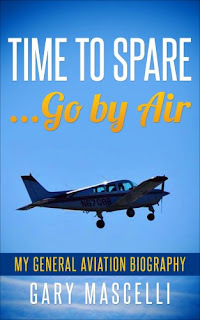 All good reading for those ‘what if’ situations to make you review what you do when winding down on your IFR flights. What decisions drive your request or acceptance of the visual, what are your concerns? Admit it, the approach controller advising "you are cleared for the visual approach" is a welcome sound on most flights. We normally would think conditions are VFR, we’re pretty much home free, no approach to minimums, less stress. Things can and do go wrong, what do we do to evaluate our individual situations? For controllers, a visual approach speeds up the flow and reduces their workload. On the visual we pilots now take on the responsibility of maintaining separation and terrain avoidance. We all understand the ‘get-there-itis’. Think about it, we could take a deep breath, a sigh of relief and even a brief lack of focus especially if just dropping out of the clag after an intense cross country. At the end of the flight we need to fly it to the tie downs, keep the focus, terrain or towers are unforgiving. Now if it’s severe clear VFR to the non-towered airport I’ll make my calls and enter the pattern, keeping my head on a swivel for traffic. At a towered airport I’ll contact the tower, advise on the visual for the specific runway. You ask yourself why in the world did Gary type that last towered statement, because people brain fart and land without talking. We need to know what the situation and airport calls for. Remember that brief lack of focus. The folks I fly with have instilled a few things in this tiny brain. Take advantage of the equipment on board. When cleared for the visual I chug and plug the vectors to final (VTF) and also note one of the following; DA, MDA and at the very least pattern altitude. Proper preflight planning helps us understand the destination airport terrain, local obstructions and allows for that ‘walk through’ of approaches. I like to read each plate, visualize my entry to the airport environment and review low enroute charts for potential hold fixes. I also like to note special reporting points that show up on the VFR charts. I guess I am rambling on but I really enjoyed this month’s IFR Refresher. Good things to ponder for safe flight operations. The wx and timing were right for 08Romeo to move to her new permanent home at KOXB, Ocean City. Mike B was busy with work travel and he and Kim had vacation scheduled, so the chance of him flying 08Romeo before the end of the month was out. I made a few calls to see if there was any interest in somebody taking on this mission to get me north to N57. I made a call to Jeff D over in Woodbine but he too was going to be out of town on business but he would ask the Woodbine bunch if anyone was available. I also called Adam Z, he knows everyone and I figured he would find me a ride with his breakfast flying Quakertown bunch. The response was quick, Dr. Harv from the Woodbine group was up for the hop. The plan was set to meet at the OXB terminal around 2:30ish, take on fuel then launch for N57. Harv made a sweet landing at OXB and taxied to the terminal. We topped off the left side tank, stored my flying gear for my return flight and climbed aboard. I didn’t have my Lightspeed or Bose headsets, instead I had a cheap pair I let passengers use….boy does that thinking have to change. 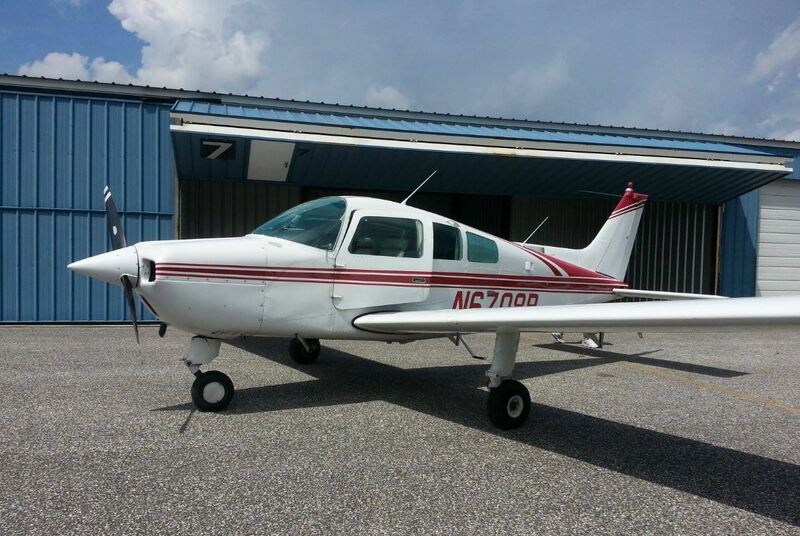 Harv’s 1969 Mooney M-20G is in great shape, a really nice color scheme and good avionics package. We taxied out for runway three-two and announced our departure. There was a Cessna in the pattern and another aircraft shooting the GPs RWY 2 approach. We had the Cessna but couldn’t see the aircraft on approach. We were on the roll and once again announced. Harv did the flying I was searching for the approach aircraft. As we were wheels up I saw the aircraft inbound and breaking off the approach making a left turn out, north/north west. We climbed out to the north/north east as I called out the traffics position. The ride was swift and pretty smooth. With a decent quartering headwind 90Victor still turned out 140+ knots. The speed sure was nice. We cruised at three thousand and enjoyed the ride, good conversation and a fun flight in a new to me plane. I most likely wore Harv’s ears out asking so many questions about his plane, autopilot, retract gear and annuals. Winds had picked up a bit and there would be a crosswind component landing at New Garden. I gave Harv the low down on the bumpy runway and the winds on short final between the roadway and the runway threshold. I helped spot the airport and Harv guided 90V through the pattern. We were now short final and Harv set 90Victor in with a text book crosswind landing, kissing one main on followed by the other, riding it out then setting the nose down. I don’t think I’ve made one better in the year I’ve been flying there! Great trip and a fun ride! I am in your debt Harv, I could not imagine my Bride making the drive with her health issues so Thank you from the both of us. I watched 90Victor tuck her wheels in and climb out of sight, then I walked to my hangar. There was activity on our row of hangars this afternoon. The Cub next to me was flying and the Cirrus across from me was going to get some flight time. I went through my pre-flight and gave 08Romeo her final tug out of the hangar. I had everything cleaned out with only one extension cord to stow in baggage. With all my checks complete I climbed aboard and called clear prop…….click…click….click…..not good. I’m thinking my battery has an issue or 08Romeo decided she wasn’t ready to leave this nest. The shop on the field was closed so I needed to find a way to jump the plane. The new external plug I purchased through BAC would get its first test. I called the airport manager to see if he had any contacts and Jonathan hooked me up with the flight school. I started to walk back towards the office and flight school when one of the line guys swung by to give me a lift in the golf cart. He introduced me to the person I was looking for and the man agreed to give me a jump. The neighbors cub had landed and taxied in so he also gave a hand in this process. I plugged in the external plug and climbed aboard for a start. 08Romeo fired right up and purred along. My Cub neighbor climbed aboard to hold my brakes while I jumped out to unplug the external power plug and secure the baggage door. I offered my thanks to everyone and offered the man who gave me a jump some cash but he refused. With the transfer of control back to me 08Romeo was ready to go. I had twenty-three gallons onboard, I would need ten for my flight south. I would have a tail wind so that was a plus and I would not have to shut down until in front of my hangar at OXB. 08Romeo climbed out and we pointed south. It was a smooth ride at three thousand all the way. I did pick up flight following with Dover on 135.15 and they eventually cut me loose to squawk VFR as I approached my typical reporting points. There were a few aircraft in the pattern but everyone worked their way in. I made a nice landing and taxied clear making my way to the hangar. Mary was sitting in my SUV to give me a lift back to the beach house. I secured the plane leaving a mess with all the blankets, sun shields, tool box and extension cords and cleaning supplies lying about. I had repositioned the airport car and tucked it under the wing tip then closed the hangar for the night. I would come back tomorrow and organize all the ‘stuff’. The next chapter in my flying will begin as I work my way to retirement. Mary and I are looking forward to more dog rescue flights and getting back to those four day weekend get-aways taking advantage of our magic carpet. I was cleaning out my hangar at New Garden (N57) tonight and did my preflight for Fridays flight to OCMD. When I finished up I thought I would track down the Airport Manager, if he was still available, since it was just past 5pm. I did find the manager and gave notice that I would be out of my hangar by November 1. As I got in my SUV and started to head out I saw this youngster, with his dad, walking out to the ramp with an RC plane. This little guy had his act together. Hard side case in one hand containing the controller and his aircraft in the other. He unpacked, went through some checks and then taxied out. The aircraft was electric powered so it really had a unique sound to it. It was a smooth and controlled departure that immediately went into a vertical climb! He hung that airplane on the prop then nosed over and spiraled down to recover and go inverted followed by cranking out some knife edge turns and snap rolls. I shut the truck off and continued to watch this youngster fly, he was very impressive. When he was done he brought the plane in slow and smooth, better than some of my landings in the Sundowner. I walked over and asked if I could take his picture for my blog, his father said yes. This youngster is eight years old and can really fly that RC plane.....honestly it was like I was watching Matt Chapman, just a scaled down version. It’s time to pack up the hangar at New Garden (N57)and move 08Romeo to her permanent home in Ocean City MD (KOXB). I'll finish out the month and then vacate by November. We are still trying to sell our home. The house has been listed for sixty days to date, plenty of lookers, no offers yet but we are praying to St. Joseph. I decided that since it’s the off season I can drive back and forth to the beach without the hassle of extra heavy traffic days. The plan is to load up the SUV with the small work bench and cleaning supplies along with my Switchbox preheater and battery maintainer controls. The next forced wx driving day I’ll take the hangar contents with me to OCMD. I hope to move the plane south with some help from Mike B. I’ll get an hour head start in the SUV then he can fly in and pick me up. I’ll fly back to drop him off then turn and burn for OXB. At least it’s a plan and that’s a good start. I have my annual scheduled for November 10th so I’ll fly up to 58M, rent a car and hotel room for a few days in order to complete the work. Today started off on a bright note with wx looking good and even better for a planned Sunday return north. Saturday’s forecast was calling for rain, heavy at times in Wilmington, showers in OCMD. I figured it would be a good time to get a few things done at the beach home. At 3pm I made a run for the door, exiting work and heading to the house for a quick check since it had a showing earlier in the day. I should have taken a few things with me but I just wanted to get in the air and pointed south. 08Romeo needed fuel so after a quick start up and shut down I had 30 additional gallons on board. The run up went smoothly, every item on my check list noted and acceptable. I put in a call to clearance delivery at Philly and noted my typical CRAFT report with some changes. I had figured on once again trying N57 DQO ENO ATR KOXB but I can’t seem to get that to pass muster. Instead, fifteen minutes later I copied the norm, MXE DQO ENO SBY KOXB. I did get six thousand and according to the Skew T diagrams that would put me above the IMC layer. As the saying goes…one out of two ain’t bad. I announce and taxi for departure on runway two-four. Gusty cross winds but nothing 08Romeo can’t have fun with. I weathervane on climb out, announce my departure intentions and flip to approach. I checked in with Philly and they give me four thousand after a right turn climbing out on downwind. That was a first and I think letting me climb higher for longer or keeping me pointed away from the airport would have been safer. One never knows who may be on a forty-five for that same downwind…it’s funny how we process this stuff. I center the needles and keep on keeping on at four pointed for direct Smyrna (ENO). Eventually I’m handed to another Philly sector, 119.75 and then on to Dover 135.15. I notice there is traffic on my Zaon PCAS, a few miles behind and a thousand higher. We are each on with Dover approach and get called out to each other for traffic advisories. The Cessna 182 gets six thousand, I got nothing. I asked for higher but was kept at four thousand banging out the IMC time. On occasion I had ground contact, more south of Dover (KDOV) but gone by Georgetown (KGED). I was handed off to Patuxent 127.95 and advised I had the wx at my destination, which was VFR. Of course the 182 was headed in to OXB and he asked for the visual. I was following along thinking I would get a hold at PFAIR but I was cleared direct and lowered. Once I broke out I could see the coast no problem, so I canceled and went in VFR. Happy girl with her head resting on my tummy. Sunday was a good day for the boardwalk so Mary, Ziva and I did some walking. Mary had a soft ice cream, Ziva got plenty of attention from everyone passing by and I got a caramel apple from Dolle’s. We headed back to the house and settled in for the afternoon. My wx check looked great and as long as I was in the air by 5:30 I would be happy. Mary was dealing with a migraine headache Saturday and a slight headache again today. Mary wore dark glasses and soldiered through the boardwalk for a couple hours but I could see the squinty eyes and tired look. She had all the signs but she knew it and got comfy on the couch while I watched football. I refilled my ice tea and while I was up grabbed a blanket to cover my Bride. With my Bride tucked in and Ziva sound asleep I sat back and watched the Eagles play, and win. I headed out to the airport after the game and was in the air some time around 4:30. I had no flight plan filed this trip but I did monitor Dover, Philly and Wilmington as I made my way to N57. I hung out at three thousand riding a tailwind and some rodeo gusty winds. I announced my typical ten and five mile inbound for full stop calls and kept an eye on the PCAS that was showing a blip around six miles. That blip changed to five, then four down to two and now a mile and a half. The sun glare looking west south west was brutal, the Rosen visors did help and I finally had eyes on the target. Big sky? Not at this very moment. I made another call on New Gardens CTAF but no response, the Piper kept coming. I lost the plane briefly in the sun then saw it again now pointed at me and closing. I powered up into a climb and banked away to the right, the PCAS echoed my turn and as soon as the distance opened I leveled and looked again. The Piper had stayed level and banked right, crossing behind me. Not sure how close we got but my guess was a mile or less. I settled down and reminded myself I was clear and needed to think landing, fly the plane dummy. I turned from base to final giving the sky and PCAS a final look and all was clear. I made one of my best landings at New Garden and was off on the first taxiway. As I taxied in I heard a Piper call his position, a forty-five for the left downwind runway two-four. I came to a stop just before the hangars and pointed across the grass so I had a clear view of the plane now turning base to final. It was the same plane that passed behind me. I watched them land and decided it was best to make my way to my hangar. I shut down, opened the hangar doors and parked the SUV out on the adjacent hangar ramp. I could hear a plane heading my way but the hangars were blocking the view. As I went to the baggage door to grab my tow bar the Piper turned down my taxi lane. Hmmm…the thought ran through my mind that this could get interesting. I pushed 08Romeo in the hangar and the Piper taxied right up my ramp nose first, shutting down maybe ten feet from my doors, which were wide open. I still had no idea who this was, didn’t recognize the plane or pilot. The right seat was a young lady, in her teens and the pilot and young man, maybe forty at a guess, they both smiled and waved. This was a hangar neighbor and he parks across the taxi lane from me. He turns into my ramp like I do his after every flight so we can push back without turning our planes while going up the hill. I’ve never met him or saw his hangar open since I’ve been at New Garden. He seemed like a very nice guy and his daughter just as nice. I asked them if they had a radio problem and he confirmed it was intermittent. He admitted that his daughter pointed out the traffic, ME, and he took evasive action like I did. I thanked her for riding along today. I guess it’s a reminder that it is always SEE and AVOID while we are in the air. I am thankful for the Zaon traffic, it saved my bacon today.